The Group Relations resources available below are freely offered by the A. K. Rice Institute with permission from the respective authors. 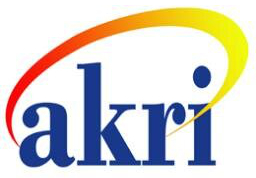 These resources include papers and presentations from various AKRI scientific meetings and other professional contexts. If there is a specific paper you are seeking or would like to have included as a resource here, please contact [email protected]. Beerel, A. (2003). Adaptive leadership: Success or assassination? Presented at the National Scientific Meeting of the A. K. Rice Institute, A. K. Rice Institute for the Study of Social Systems. Burack, C. (2003). Leadership and the Hazards of Solidarity. Presented at the National Scientific Meeting of the A. K. Rice Institute, A. K. Rice Institute for the Study of Social Systems. Dumas, R. G. (1975). The Seed of the Coming Free: An Essay on Black Female Leadership. Thesis submitted to The Union Graduate School. Green, Z. G., & Molenkamp, R. J. (2005). The BART system of group and organizational analysis: Boundary, authority, role and task. Kennedy, D. (2003). The changing nature of female power and its impact on male/female collaboration in AKRI work. Presented at the National Scientific Meeting of the A. K. Rice Institute, A. K. Rice Institute for the Study of Social Systems. Khaleelee, O. (2003). Not leading followers, not following leaders: The contemporary erosion of the traditional social contract. Presented at the National Scientific Meeting of the A. K. Rice Institute, A. K. Rice Institute for the Study of Social Systems. Lazar, R. A. (2003). Follow the leader…? Leadership, followership, seduction and persecution in groups and institutions. Presented at the National Scientific Meeting of the A. K. Rice Institute, A. K. Rice Institute for the Study of Social Systems. Semmelhack, D., & Hazell, C. (2003). The implementation of a Tavistock process group in a county jail. Presented at the National Scientific Meeting of the A. K. Rice Institute, A. K. Rice Institute for the Study of Social Systems. Szykierski, D. (2008). Freud’s Ideas about groups in relation to his experiences in the psychoanalytic movement and the secret committee. New York, NY: Institute for Psychoanalytic Training and Research. Wilson, N., & McRae, M. B. (2003). Because we’ve always done it that way: Exploring variations in conference design and structure. 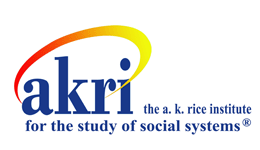 Presented at the National Scientific Meeting of the A. K. Rice Institute, A. K. Rice Institute for the Study of Social Systems.